Peter Richard, President of the Mon Repos Minibus Drivers Association. The re-election of Godfrey Ferdinand as president of the National Council on Public Transportation (NCOPT) has left many minibus drivers in the southern part of the island in consternation. Ferdinand was re-elected for a fifth straight term at the helm of NCOPT at a meeting the council held in Micoud on Sunday, by defeating his only rival, Demitrius Duplessis, 18 votes to 5. Many of the minibus drivers in the south of the island did not expect him to remain at the helm of NCOPT, and were convinced that he would be voted out of the executive. His style of management drew howls of criticisms from them, which they vented openly without mincing words. According to Ferdinand’s detractors, a number of drivers in the south of the island who were complaining bitterly about his style of management voted for him. 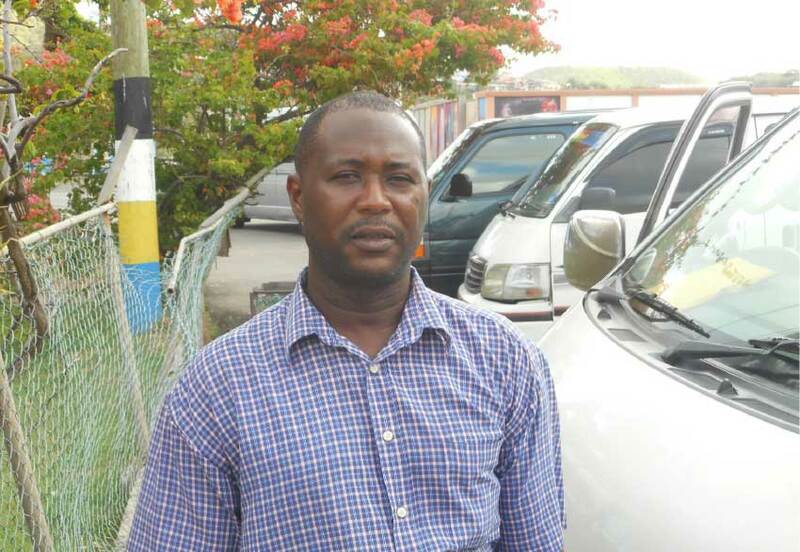 President of the Mon Repos Minibus Drivers Association, Peter Richard, who was nominated for the post of 1st vice president but pulled out of the race on the day of the meeting, said the result of the elections has left him surprised and angry. “Even moments before the meeting a number of minibus drivers from the south were complaining about the way Ferdinand is managing NCOPT. They say he is managing it like it is his own personal business,” Richard said. “Some of them are illiterate and uneducated…” he added in annoyance. Richard said some people say the “M” on the number plates of their minibuses stands for “monkey”, adding that it seems to be true. According to Richard, he is fed-up with the situation and lacks the zeal to continue to work for his association. He said he is now pondering whether he should remain as its president or resigned. “I have been working very hard for my association. Right now I am taking a back seat. The minibus drivers, especially those in the south of the island do not know what they want,” he lamented. Moses Justin, President of the Desruisseaux Minibus Drivers Association is also surprised that Ferdinand was re-elected to the helm of NCOPT. “People are unpredictable… The same people who were complaining about Ferdinand’s style of management voted for him,” Justin said. He said he can’t understand how minibus drivers could re-elect Ferdinand at the helm of the council, despite him not being able to present them with a financial report which is long overdue. President of the Laborie Minibus Drivers Association, Willie Jeremy said he too does not support Ferdinand, but among those nominated for the various positions on the executive, he is the best.